Bacalhau is the Portuguese word for dried and salted codfish. Bacalhau dishes are common in Portugal and Galicia, in the north of Spain, and to a lesser extent in its former colonies like Angola, Macau, and Brazil. There are said to be 1001 recipes in Portugal alone. The essential ingredient, salted dried codfish, usually comes from Norway (bacalhau da Noruega), Iceland (bacalhau da Islândia) or Newfoundland (bacalhau da Terra Nova). It used to be very affordable, but with the collapse of the cod stocks and dismantling of Portuguese bacalhoeiro fleet, it became more expensive, especially near Christmas time, since it's a part of many traditional dishes of the holiday season. Salt cod has been produced for at least 500 years, since the time of the European discoveries of the New World. Before refrigeration, there was a need to preserve the codfish; drying and salting are ancient techniques to preserve nutrients and the process makes the codfish tastier. The Portuguese tried to use this method of drying and salting on several varieties of fish from their waters, but the ideal fish came from much further north. With the "discovery" of Newfoundland in 1497, long after the Basque whalers arrived in Channel-Port aux Basques, they started fishing its cod-rich Grand Banks. Thus, bacalhau became a staple of the Portuguese cuisine. From the 18th century, the town of Kristiansund in Norway became an important place of producing bacalhau or klippfish. 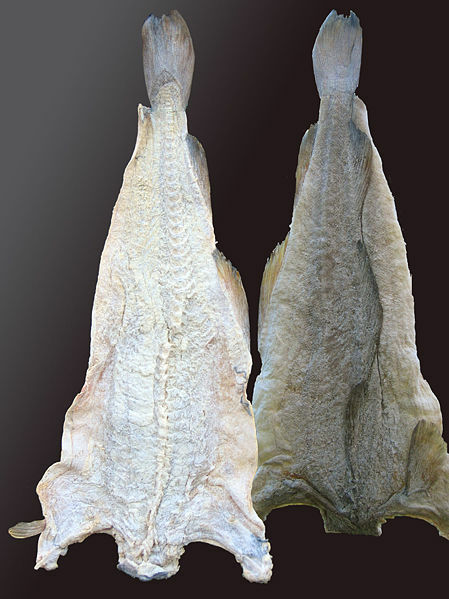 Left: Salted and dried cod, produced in Norway. This dish was popular in Portugal and other Roman Catholic countries, because of the many days (Fridays, Lent, and other festivals) on which the Church forbade the eating of meat. Bacalhau dishes were eaten instead. 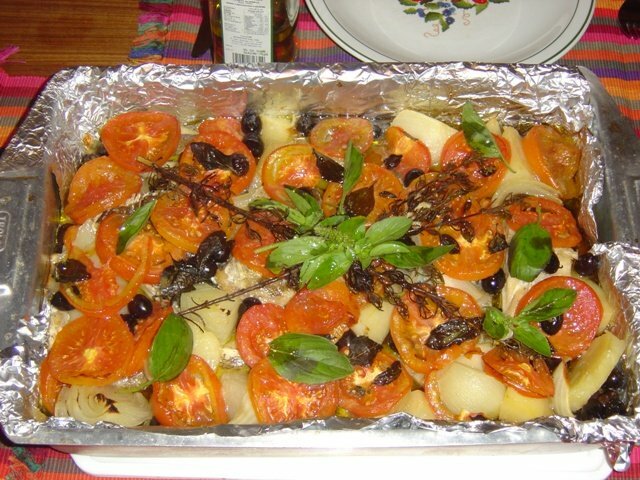 There are numerous bacalhau recipe variations, depending on region and tradition. Bacalhau is often served with potatoes. Green (Vinho Verde) or mature wines (Alentejo Wine, Dão Wine, or Douro Wine) are served alongside. Bacalhau dishes include a starter known as bolinhos de bacalhau (term used in the North of Portugal and in Brazil) or Pastéis de Bacalhau (term in the South): literally "Codfish cakes", made up of potatoes, eggs, parsley, and some minor ingredients with dry salted codfish. 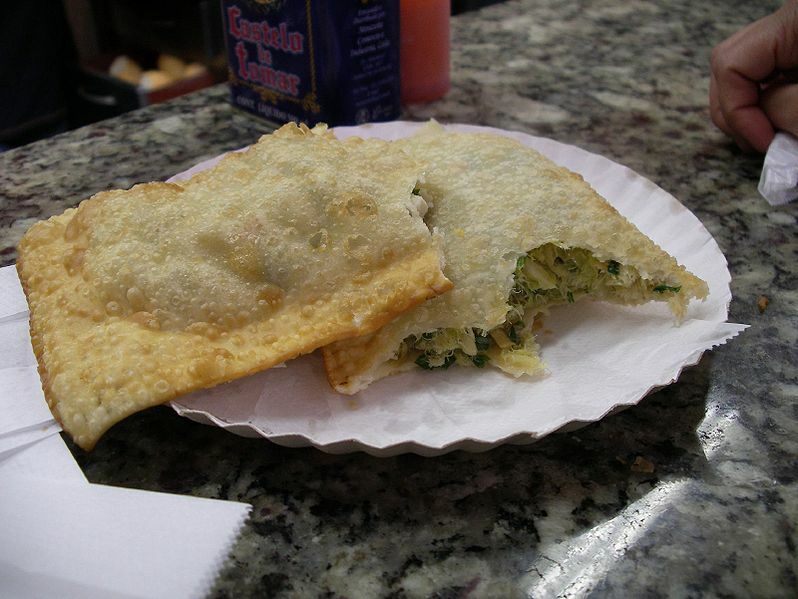 The pastéis de bacalhau are deep-fried and served cold before meals.